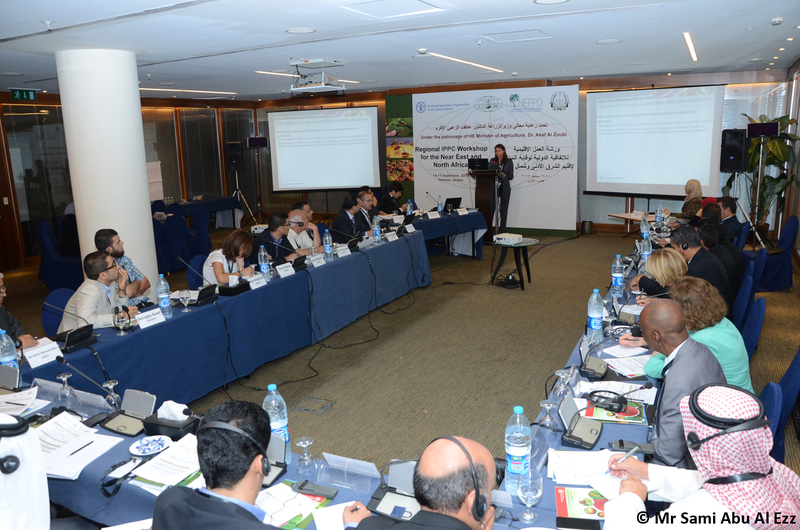 The 2015 IPPC Regional Workshop for the Near East and North Africa was held 14-17 September, in Amman, Jordan, and there were 40 participants from 14 contracting parties and West Bank and Gaza Strip. 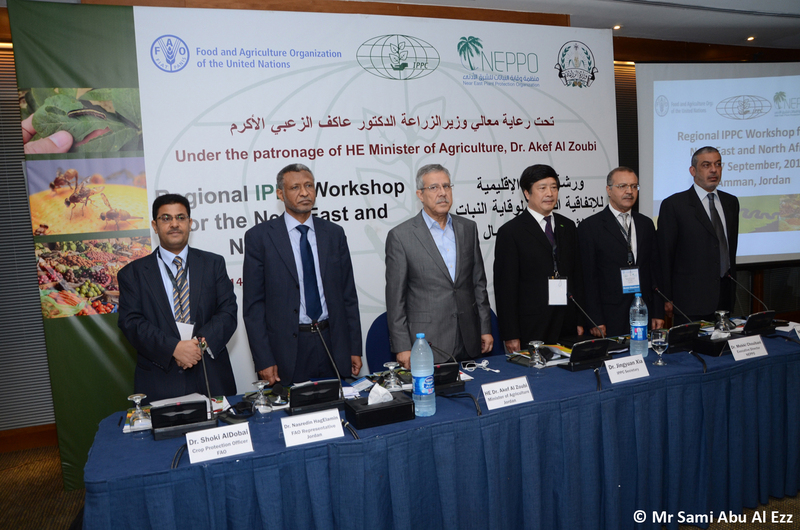 The Workshop was organized by the FAO Regional Office for the Near East (FAO-RNE), the Jordan Plant Protection Organization and the IPPC Secretariat; and it was funded by FAO-NRE as well as from the IPPC Trust Fund. 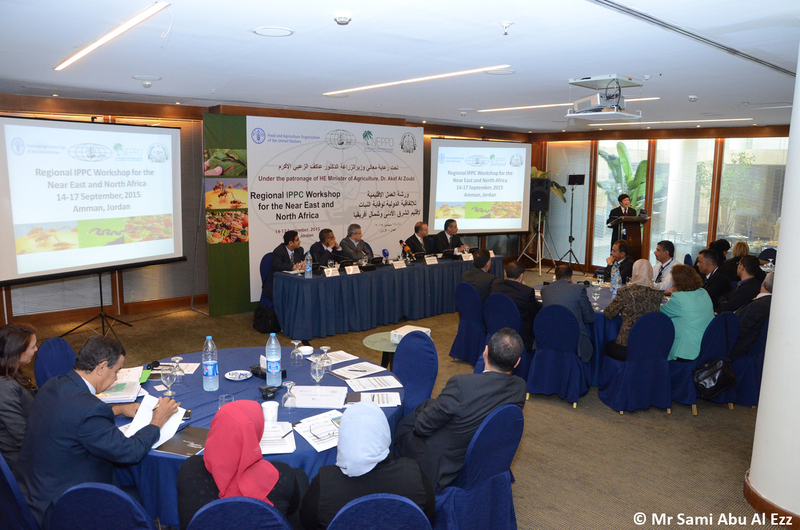 The Workshop was co-chaired by Ms Fida'a Ali Al-Rawabdeh, Head of the Jordan Plant Protection Organization, and Mr Saad Moussa, Head of the Egyptian Plant Protection Organization, with the support of the FAO-RNE Regional Crop Protection Officer, Mr Shoki AlDobai, the Executive Director of the Near East Plant Protection Organization, Mr Mekki Chouibani and the IPPC Secretariat representative, Ms Sarah Brunel. The workshop was opened by the Jordan Ministry of Agriculture, Dr. Akef Al Zoubi, who mentioned that “the legislation on plant quarantine is continuously modernized in order to upgrade this important sector which is the first line of defense for plant health”. In his allocution, the IPPC Secretary, Dr. Jingyuan Xia indicated the importance of such regional workshop for the IPPC and highlighted that phytosanitary capacity development is essential for the good performance of NPPO activities. The objectives of the Workshop were: (1) to learn how to analyse draft International Standards for Phytosanitary Measures (ISPMs) and to formulate productive comments using the examples of draft ISPMs for member consultation in 2015; (2) to build phytosanitary capacity, raise awareness on all activities related to the IPPC and among others, and updates on ISPM 15 symbol registration, submission of formal objections to standards, WTO Trade Facilitation Agreement, International Year of Plant Health and e-Phyto; and (3) to exchange experiences at the regional level on surveillance, emerging pests and other issues of joint interest.